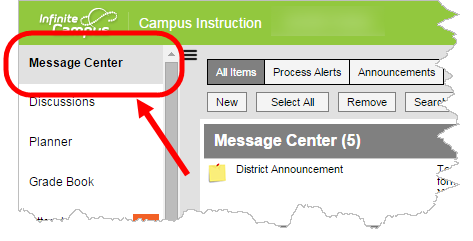 Did you know that you can use Infinite Campus to send an email message to all (or some) of the parents/guardians of the students in your classes? 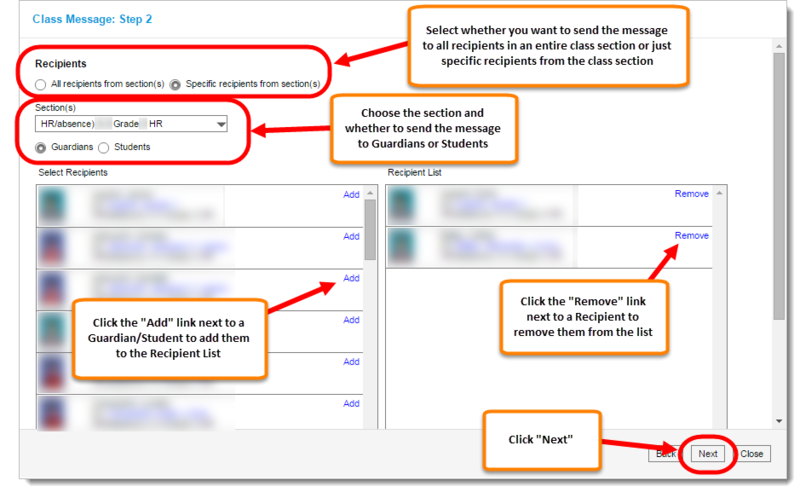 In fact, you can even select exactly which classes, sections or parents/guardians to which to send the messages! 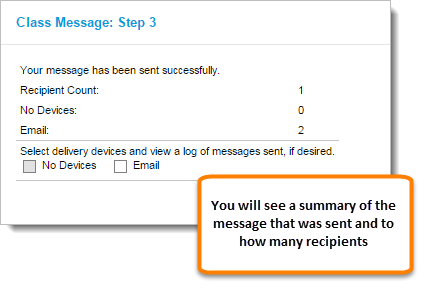 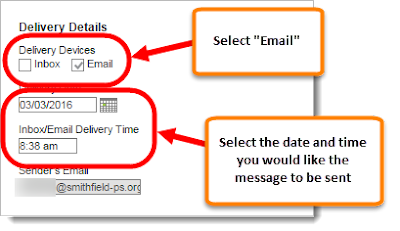 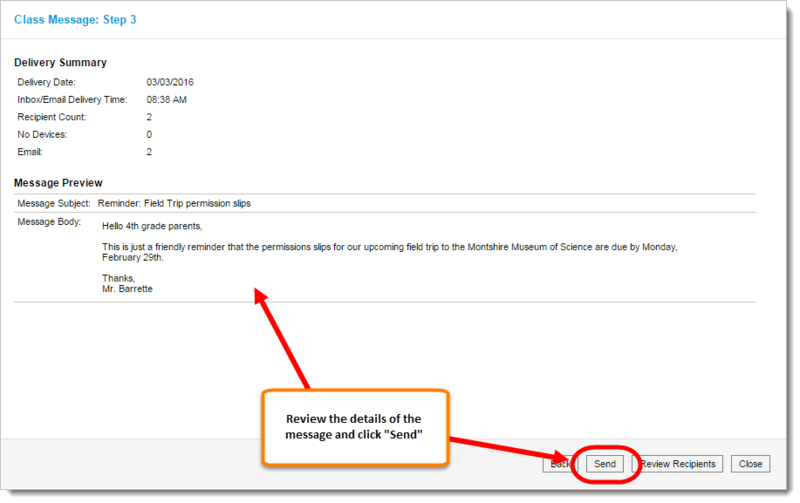 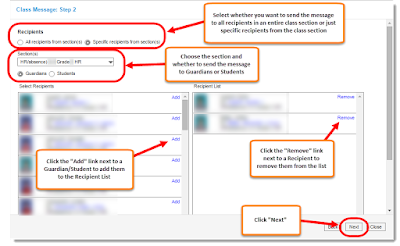 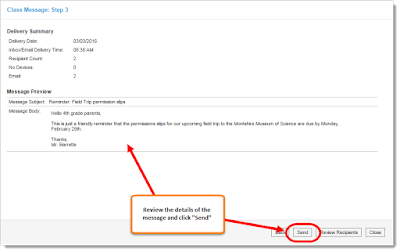 If you're sending an email message to parents, select a Message Type of "Class Message"
Review the details of the message and click "Send"